Lyle Johnson, the owner of Hoff’s Store, painted this sign in about 1970. Along with three matching signs, it hung on the front of his business at 101 East Main Street from the 1960s to about 1985 when the building was remodeled. This coincides with the time period when Mount Horeb businesses began promoting a Norwegian theme in its outdoor décor. 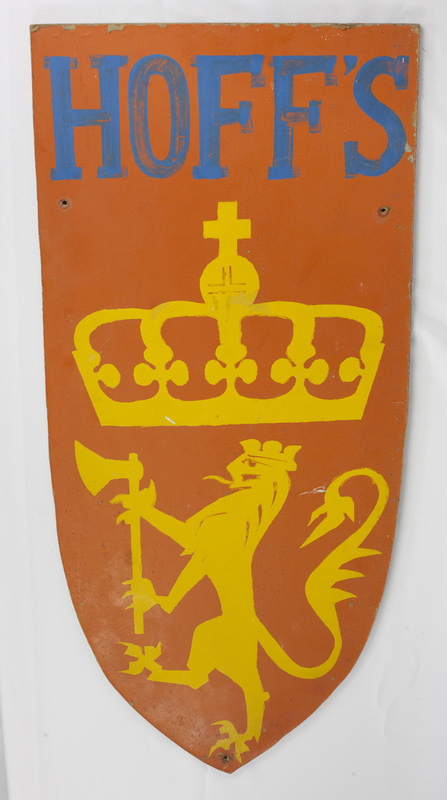 Similar to Ruste’s chest presented earlier, Hoff’s shield-shaped sign is inspired by the Norwegian Coat of Arms and is a popular motif used in traditional Norwegian art. The coat of arms motif can be found in Mount Horeb today, such as on the side of the Mount Horeb Telephone Company building at Main and Second streets. 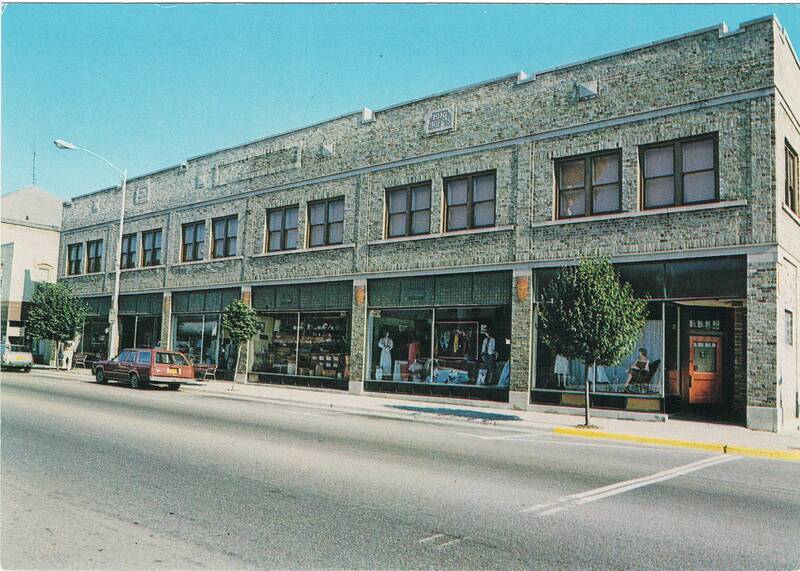 Hoff’s General Store in the 1970s; note the shield-shaped signs on storefront. MHAHS Postcard Collection.